Home » Barcode Scanners » Barcode Scanner - In-Counter Laser "Hands-Free"
Barcode Scanner - In-Counter Laser "Hands-Free"
The Hands Free In-Counter Laser Scanner is ideally suited to high volume retail stores. eg Discount, Convenience Stores & small Supermarkets. The In-Counter Laser Scanner produces multiple laser "beams" that form a "spider web" pattern which enables a rapid barcode read rate. The connection to a POS System is usually via a USB interface. A Serial interface is required for Cash Registers. 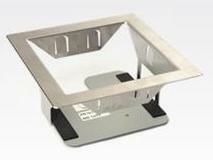 A stainless steel 'in-counter' mounting kit is included, allowing easy installation. 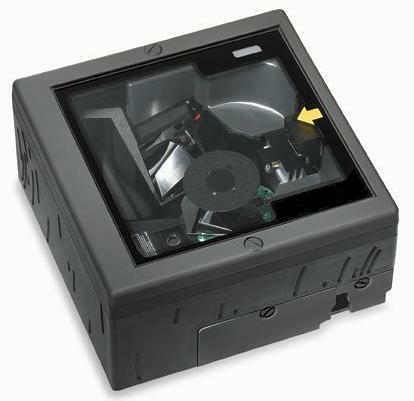 The 'in-counter' scanner also has a serial port allowing the connection of a hand scanner which allows for convenient scanning of large and bulky items. PROSPA PAY Buy over 13 weekly payments of $ 91.54 (ex. GST). No Interest ever and No Fees if you pay on time. Contact Prospa Pay online at PROSPA PAY or call 1300 706 983 for a simple over the phone application. No obligation. SILVER CHEF Rent-Try-Buy. Rent from $ 15.10 (ex. GST) per week for a minimum of 12 months before you decide to either Buy (with 75% of prepaid rental being deducted from the original cash price), Upgrade or Return at no further obligation. Apply online at SILVER CHEF or call 1800 337 153 for a simple over the phone application. No obligation. He was polite and professional. I enjoyed working with him. The system you recommended to me in my opinion is second to none. It is so user friendly and reliable. I give your company a 5 stars.